Get qualified in accounting online with unlimited 1:1 tutor support, a flexible schedule, and interest-free payment plans. At ICS Learn, we understand that you have a busy life. That’s why we make it easy to shape your course to suit you: set your own timetable, get help when you need it from our expert tutors, and access your course materials and live online classrooms through our 24/7 online campus. All of our courses are internationally recognised and accredited by AAT, the Association of Accounting Technicians. Their qualifications are highly desirable to employers as they give you practical, industry-focused knowledge that you can use from day one. Sound financial management is at the heart of any business, so demand for qualified accountants is consistently high. 78% of MAAT/FMAATs and 73% of students are satisfied with their jobs. 83% of members feel secure in their jobs. Accountancy is the language of business. By taking an AAT-approved course with us, you'll learn how businesses become successful and gain key insight into global business issues and international finance. You'll gain insight into accounting, bookkeeping, business ethics, business accounting, budgeting and a huge amount more. You'll also develop invaluable numerical and quantitative skills, and enhance your problem-solving and analytical ability. 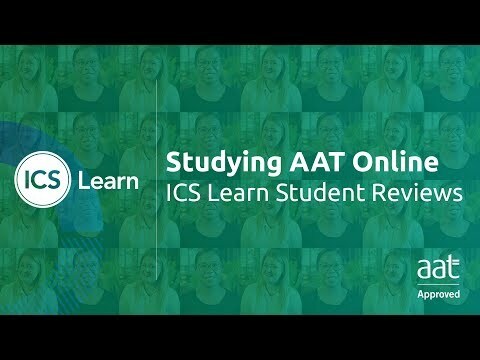 If you’re unsure about which course is right for you, AAT’s Skill Check can help you test your current accountancy skill in order to identify which skill could be enhanced and which level you should start at. Everyone has a different combination of skills, experience, education and ambition, so the best way to decide on the right course for you is to give our specialist AAT course advisors a call. Don't worry, there won't be any hard sell - we're just here to help you make the right choice. There are a lot of accountancy courses available, and it can be hard to know which to pick. We think an AAT course is the best choice because you can be sure that your AAT qualification will be recognised, respected and valued by potential employers. AAT are the largest professional body for vocational accountants in the UK, with over 133,000 members worldwide. They're internationally recognised for their exceptionally high standards, and they set the bar for quality within the industry. Need advice or looking for more information? Contact our expert AAT advisors by email, webchat, or phone. We're happy to help!